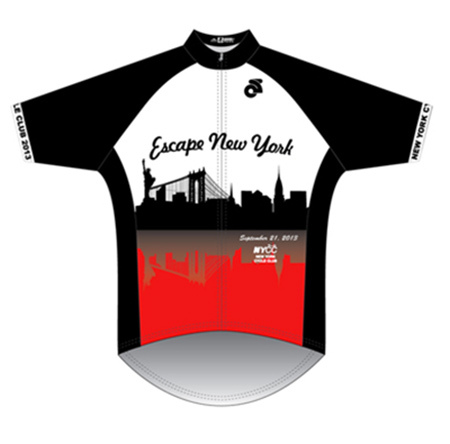 Escape the crowds and ride out of Manhattan across the George Washington Bridge and into West Hudson Highlands of Bergen, NJ and Rockland, NY with the NYCC’s Escape New York bicycle ride on September 25th. Choose one of four scenic, well marked routes – 25, 50, 65 or 100 miles – all beginning and ending at Sakura Park in Manhattan. All offer picture-postcard views of the Hudson River and Palisades as you cross the George Washington Bridge and ride the serene roads of Bergen and Rockland Counties. 9:00 am: Piermont Pleasures, 50 miles. A half century to the charming and historic village of Piermont on the Hudson. 10:00 am: Bergen Spin, 25 miles. A quick spin through the leafy suburbs of Bergen County.